We are a renowned Manufacturer, Exporter and Supplier of Combination Spring Hanger (25 mm) in global market. 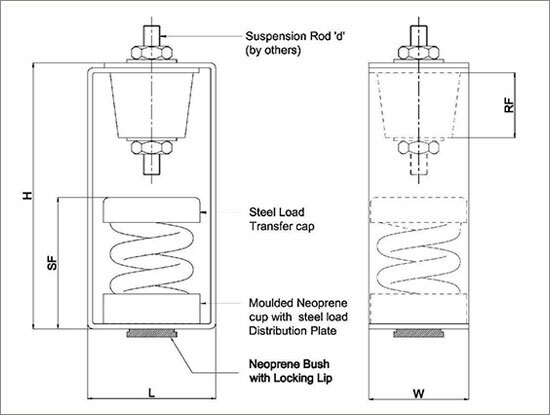 The Combination Spring Hanger, that we offer, is used for suspension of heavy rotating equipments like air handling units, fan coil units, ventilation fans, large variable air volume boxes and many more. 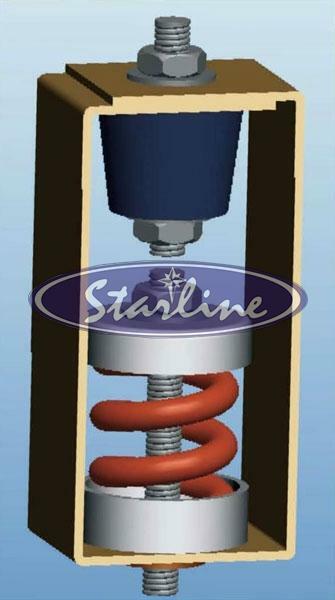 Designed with utmost precision, our Combination Spring Hanger strictly complies with ASTM B â�� 117.l. It features G.I. Steel frame which is powder coated to 100 microns paint thickness. The hanger is very effective when vibrations of high frequency and large amplitude are present. Note : Represents average free height in each grouping of models. Height of some models in group may vary slightly from this figure.